Daily Survival: Not Enough Sleep! 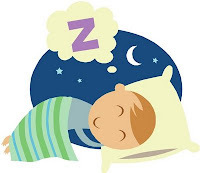 · Almost 74% of all Americans do not get enough sleep each night. · Fatigue's consequences include higher instances of motor vehicle accidents, work-related accidents, decreased productivity and adverse health effects. · Sleep deprivation can reduce attention and vigilance by 50 percent, decision-making ability by 5 0percent, communication skills by 30 percent, and memory by 20 percent. · The National Highway Traffic Safety Administration estimates that “drowsy driving” causes 100,000 automobile wrecks, 71,000 injuries and 1,550 fatalities each year. Adults needs about 8 hours of sleep each night to refuel the body, especially the brain. (9-10 hours for children and teenagers.) Certain parts of the body, like muscles, can rejuvenate on just rest alone. However the regeneration of neurons and the formation of lasting memories within the brain required a deep sleep called REM (rapid eye movement). Sleep debt weakens the immune system leaving one more susceptible to other diseases and disorders like diabetes, cancer and even the common cold. Sleep debt also causes much stress and, again, stress weakens the immune system - a double whammy. · Purposefully go to bed earlier each night. · Don’t smoke or drink alcoholic or caffeinated beverages in the hours before bedtime. · Improve your sleeping environment in any way you can – for example, keep it dark and sound-proof, turn off lights and wear earplugs if you have noisy neighbours. · Don’t have any distractions in the bedroom such as TV or a computer. · Use relaxation techniques to help you fall asleep quickly. · Seek professional assistance for sleep disorders such as snoring.